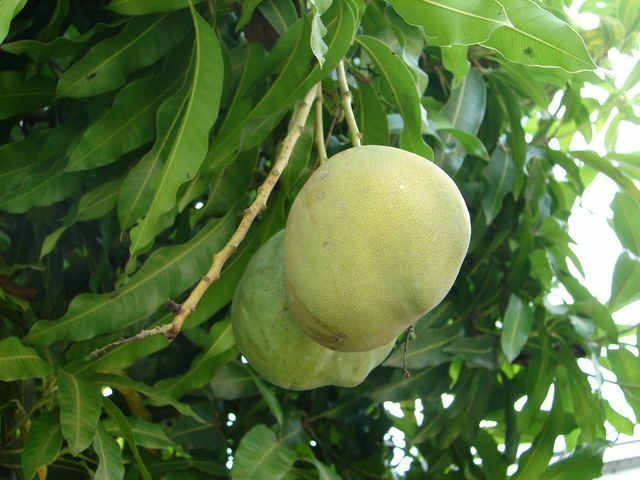 A named mango cultivar that was made popular in the Caribbean. the cultivar is likely to have originated in Jamaica. The fruit is small, averaging less than a pound in weight at maturity. Skin color is green with some crimson blush. 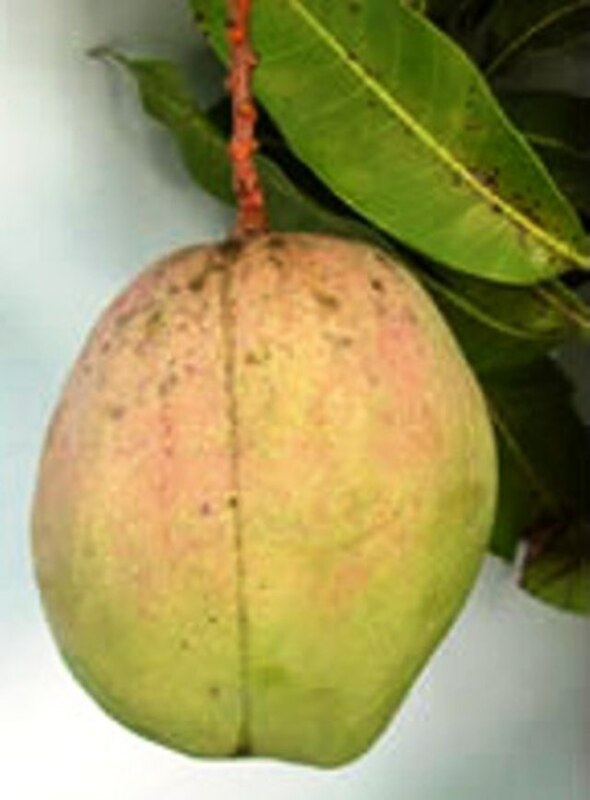 The fruit has a somewhat unique shape that is ovate with a distinctive flattened side. The flesh is juicy and not fibrous, with a deep yellow color and a very rich flavor. The tree is famous for its small dwarfing growth habit. The best mango ever! There are some julie mango trees that are quite tall and big in Trinbago.